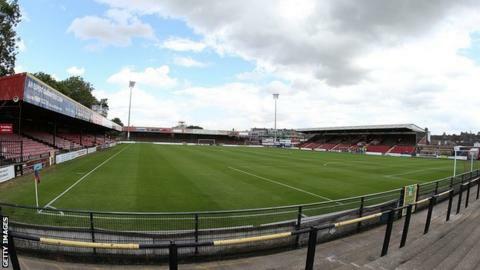 York City's League Two play-off semi-final first leg against Fleetwood Town was postponed because of concerns about a waterlogged playing surface. The kick-off at Bootham Crescent had initially been delayed by referee Carl Boyeson until 20:00 BST to allow groundstaff to work on the surface. However further inclement weather left patches of standing water on the pitch that were deemed unsafe. The game will now take place on Monday (12 May) with a 19:45 BST kick-off.